The moment we tasted Ch. 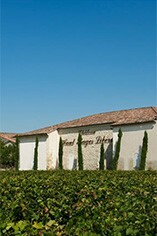 Haut-Bages Libéral we were blown away by its sheer class and star quality. 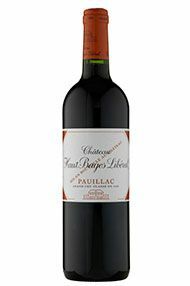 Having tasted in Pauillac all day, this was like a breath of fresh air and was, by a mile, the first wine to make our list of Top 10 Value wines to buy. With a beautiful mix of red and black fruit, this was complex, intense and powerful with a classic cedar nose, fine elegant tannins and chocolate complexity. Rounded off by a lovely juicy finish and smooth fruit, this blend of 70% Cabernet Sauvignon and 30% Merlot remains one of our favourite wines of the vintage. The Wine Advocate - Composed of 68% Cabernet Sauvignon and 32% Merlot, the earthy, spicy 2008 offers up notes of underbrush, red and black fruits and subtle smoke in its medium to full-bodied, solidly tannic, structured personality. It will benefit from 3-4 years of bottle age and keep for two decades. Jancis - Very dark but healthy. Smells a bit like a Dão - something vaguely goaty! Sumptuous fruit and texture – black berries – what a lot of work has gone into this super-polished wine. Well done! Lots of interest but maybe could do with very slightly more freshness for an even higher score. Certainly makes a statement... Big and dense. Wine Spectator - Offers some blackberry on the nose and palate, with toasty oak and coffee bean character. Medium- to full-bodied, with fine tannins and a fruity finish. Well done. Parker - Composed of 68% Cabernet Sauvignon and 32% Merlot, the earthy, spicy 2008 offers up notes of underbrush, red and black fruits and subtle smoke in its medium to full-bodied, solidly tannic, structured personality. It will benefit from 3-4 years of bottle age and keep for two decades. Decanter - Deep purple-red, fragrant, lifted Cabernet fruit, still a little green and slightly herbaceous on the palate, but has precision, purity, potential complexity and a good future.